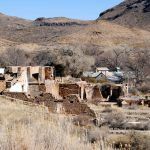 Shafter, Texas – Silver Mining Ghost Town – Shafter, Texas, a ghost town located at the east end of the Chinati Mountains 18 miles north of Presidio, has a long history closely tied to silver mining. Salt Flat, Texas Ghost Town – Salt Flat, Texas is a ghost town located in Hudspeth County in west Texas that got its start on a new highway between El Paso, TX and Carlsbad, NM. Jim Crow Laws – Jim Crow laws were state and local laws that enforced racial segregation in the Southern states from the 1870s into the 1960s. Salem Poor – From Slave to Hero – Salem Poor was an African-American slave who purchased his freedom, became a soldier, and rose to fame as a war hero during the American Revolution. 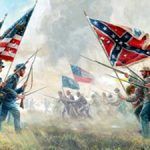 Life in the Civil War – The Civil War became all-encompassing, touching the lives of nearly all Americans, while the country fought over the future of the nation. Fort Delaware, Delaware City, Delaware – Fort Delaware, on Pea Patch Island in the Delaware River, was a harbor defense facility built to protect the ports of Wilmington, DE and Philadelphia, PA. The 13 Colonies of America – The Thirteen American Colonies, founded in the 17th and 18th centuries, were a group of British colonies on the Atlantic coast of North America. Colonial Growth & Expansion – Between 1700 and 1775, the population of the 13 colonies grew from 300,000 to 2.5 million people. English Colonials to American Patriots – Over time, the English Colonists moved away from rule British and became American Patriots. Muir Woods National Monument, California – The monument protects 554 acres of old growth redwood forest, one of a few such stands remaining in the San Francisco Bay Area. Fort Cronkhite, California – Fort Cronkhite is a former military post, located within the Marin Headlands of the Golden Gate Recreational Area, north of San Francisco, California. Fort Barry, California – Fort Barry is a former United States Army installation that protected the San Francisco Bay area with a line of gun batteries at the edge of the Pacific. World War II in San Francisco, California – During World War II, the San Francisco Bay Area became America’s “Arsenal of Democracy,” causing many dramatic changes in the Bay Area. Golden Gate National Recreation Area – Golden Gate National Recreation Area in San Francisco, California is one of the largest urban national parks in the world and one of the most visited. Santa Clara Pueblo, New Mexico – Santa Clara Pueblo is a Tewa Indian settlement along the Rio Grande in north-central New Mexico that has been home to these Puebloans for hundreds of years. March Newsletter – From Native Americans to gangstas, a trip down to Arkansas and Women’s History Month That and more in this months newsletter. The FBI and the American Gangster – The FBI, established in 1908, was designed to fight crime on a national level. 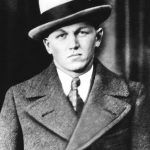 When Prohibition began, the agency would meet its largest foe – gangsters. 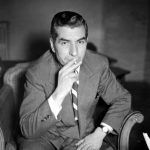 Prohibition in the United States – Prohibition in the United States was a nationwide ban on the production, import, transportation, and sale of alcoholic beverages from 1920 to 1933. Hot Springs, Arkansas – Home of Healing Waters – Hot Springs, Arkansas, located in the Central Ouachita Mountains, is home to the Hot Springs National Park, known for its healing waters and rich history. Ohkay Owingeh Pueblo, New Mexico – The Ohkay Owingeh Pueblo, formerly known as the San Juan Pueblo, is a Tewa-speaking village located in Rio Arriba County, New Mexico. 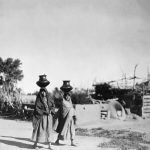 Piro Tribe of New Mexico & Texas -The Piro Indians were once one of the principal Pueblo tribes of New Mexico but many moved to the El Paso, Texas area after the Pueblo Revolt. Socorro Mission, Texas – The Socorro Mission, or Mission Nuestra Señora de la Limpia Concepción is located along the Rio Grande in Socorro, Texas, southeast of El Paso. Las Trampas, New Mexico – Las Trampas, New Mexico is a historic 18th-century village & Historic District, featuring at its center, the Spanish colonial San José de Garcia Church. San José de los Jémez Mission and Gíusewa Pueblo, New Mexico – The San José de los Jémez Mission and Gíusewa Pueblo Site in Sandoval County, New Mexico, includes the remains of an early 17th-century mission complex. Cochiti Tribe of New Mexico – The Cochiti are a Keresan-speaking tribe and their pueblo is located about 35 miles southwest of Santa Fe, New Mexico. 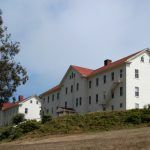 Spanish Missions in California – Stretching from San Diego de Alcalá in the south to San Francisco de Solano, California in the north, there are 21 Spanish missions established by Spain. Mission San Miguel Arcangel, San Miguel, California – Mission San Miguel Arcángel is a Spanish mission in San Miguel, California. It was the 16th of 21 Franciscan Catholic missions established in California. Santa Barbara Mission, California – Mission Santa Barbara, was the 10th of 21 California missions founded by Franciscan priests during the 18th and early 19th centuries. Mission Santa Ines, Solvang, California – Santa Ines Mission in Solvang, California was the 19th of 21 California missions established by the Franciscan Fathers during the 18th and 19th centuries. 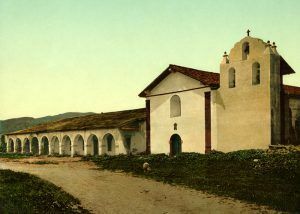 San Luis Rey Mission, Oceanside, California – San Luis Rey Mission in Oceanside, California was the 18th of the 21 original missions established by the Spanish throughout California. February Newsletter – This months addition includes memories of Death Valley, Spanish Missions, Black History and more. List of Missions & Presidios in the United States – We’re working to expand our information on Missions and Presidios in the U.S. Here’s a page with links to what we have so far. 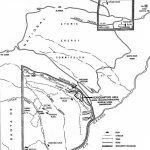 Chumash Revolt of 1824, California – The Chumash Revolt of 1824 was an uprising of the Chumash Indians against the Spanish and Mexican presence in their ancestral lands of California. 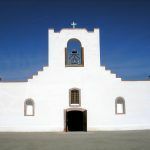 Mission San José de Tumacácori, Arizona – Founded by Father Eusebio Francisco Kino in January 1691, Mission San Cayetano de Tumacacori was the first mission to be located in what is now Arizona. Mission Basilica San Diego de Alcalá, San Diego, California – Mission Basilica San Diego de Alcalá was the first of 21 Franciscan missions established in California. Founded in 1769 it is located in San Diego. La Purísima Mission, Lompoc, California – La Purisima Mission in Lompoc, California was founded in 1787 and was the 11th of 21 Franciscan Missions in California. It is a state park today. San Carlos Borroméo de Carmelo Mission, California – The San Carlos Borromeo de Carmelo Mission in Carmel, California, is one of the most authentically restored Roman Catholic mission churches in California. Gran Quivira, New Mexico – The Gran Quivira, as it has been called for over a century, is a unit of the Salinas Pueblo Missions National Monument and dates back to at least 800 A.D.
Spanish Missions in New Mexico – In 1598 Spanish conquistador Juan de Oñate led a very large group of soldiers, priests, and colonists into New Mexico to establish a number of missions. Salinas Pueblo Missions National Monument, New Mexico – Salinas Pueblo Missions National Monument protects the sites of three Pueblos and the ruins of three Spanish missions near Mountainair, New Mexico. 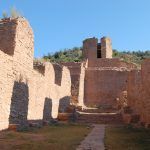 Quarai Mission & Pueblo, New Mexico – The Quarai Pueblo and its Spanish mission, Nuestra Señora de la Purísima Concepción de Quarai, are located in central New Mexico. Mission San Gregorio de Abo, New Mexico – Mission San Gregorio de Abo, located in central New Mexico, is a pueblo ruin and historic Spanish mission that dates back to the early 1600s. 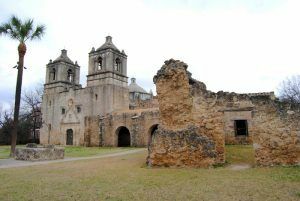 Spanish Missions Architecture and Preservation – Spanish Missions are rich cultural landscapes that span the spectrum from isolated and quickly abandoned chapels to comprehensive, self-sustaining towns. 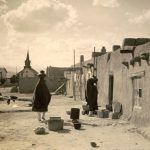 A Day in the Life of a Spanish Missionary – Friar Alonso de Benavides, the newly appointed ecclesiastical dignitary of the New Mexico mission field, wrote about the life of a Spanish missionary. 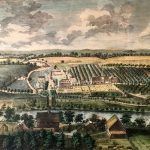 Significance of Spanish Missions in America – Spanish colonial missions in North America are significant because so many were established and they had lasting effects on the cultural landscape. Roanoke Island Settlement & the Lost Colony – The Roanoke Colony was the first attempt at founding a permanent English settlement in North America.